If you’re anything like me, I’m guessing you don’t really enjoy hearing about this tofu curry recipe! I get it! Tofu is not one of the most appealing foods while curry is not everyone’s cup of tea! Then you will be surprised to learn that this tofu coconut curry is probably the best vegan food I ever tasted! Add diced tofu, 1 teaspoon curry powder, salt and pepper and fry on all sides turning each side after about 1 minute totally 4-5 minutes, until tofu is slightly brown. 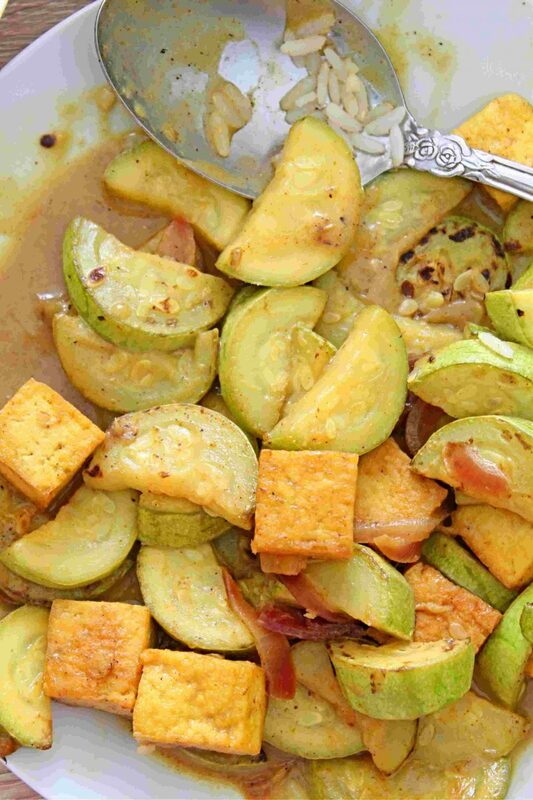 Add squash, red onion, garlic and saute until brown, about 5 minutes. Meanwhile cook brown rice as instructed on the package and keep aside. 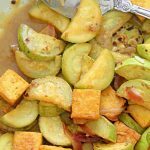 Add coconut milk, brown sugar and cooked tofu to the skillet and cook until half the juice has evaporated, about 3- minutes. Add lime juice and cook for an additional minute. 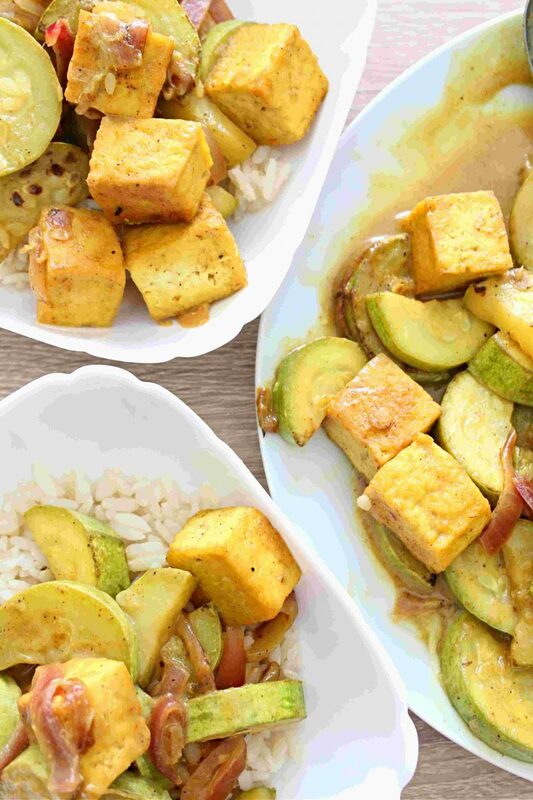 The original intention of this tofu vegetable curry was to offer you an easy and delicious vegan option for those days when you plan on going meatless. 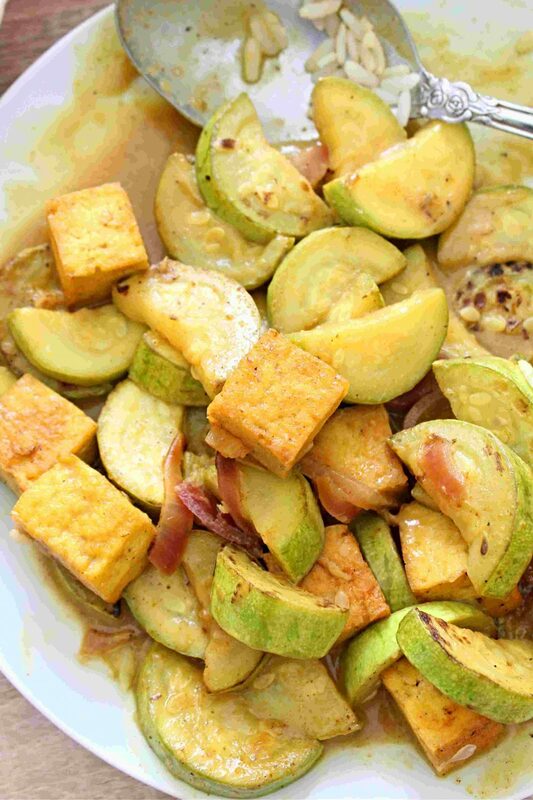 But I soon realized this tofu coconut curry is much more than just yummy food! Incorporating it in my diet for a while I noticed it helped keeping my weight on track while slightly lowering my blood pressure (which wasn’t that high in the first place but still, was a little over what I’m used to, since I’m no spring chicken anymore! lol). 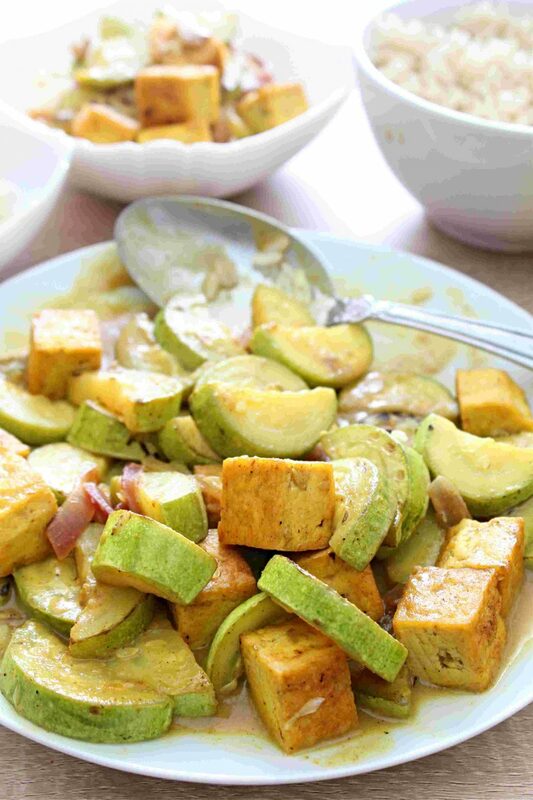 But even if you don’t have high blood pressure, you might benefit from trying a healthy diet and this delicious tofu coconut curry is super easy and quick to make! 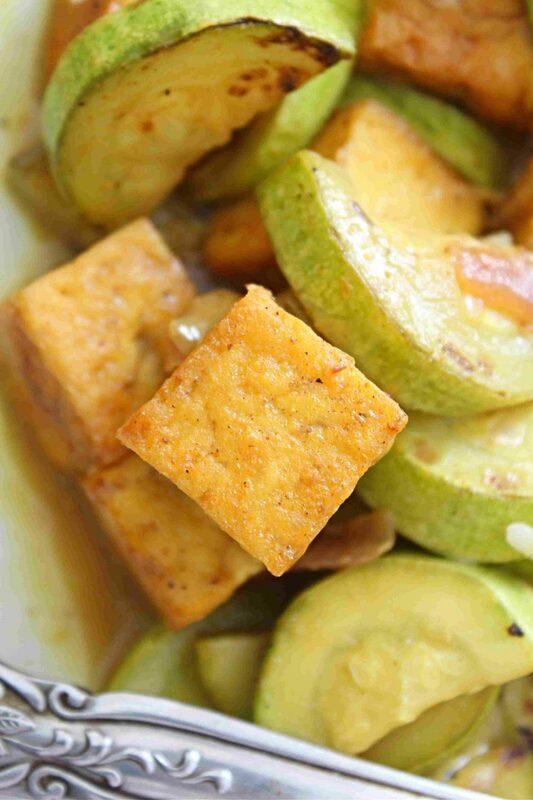 This simple coconut tofu is not only easy to make but nutritious and filling too although being so light you’re safe if you happen to overindulge! A great dinner idea for those crazy busy weeknights! 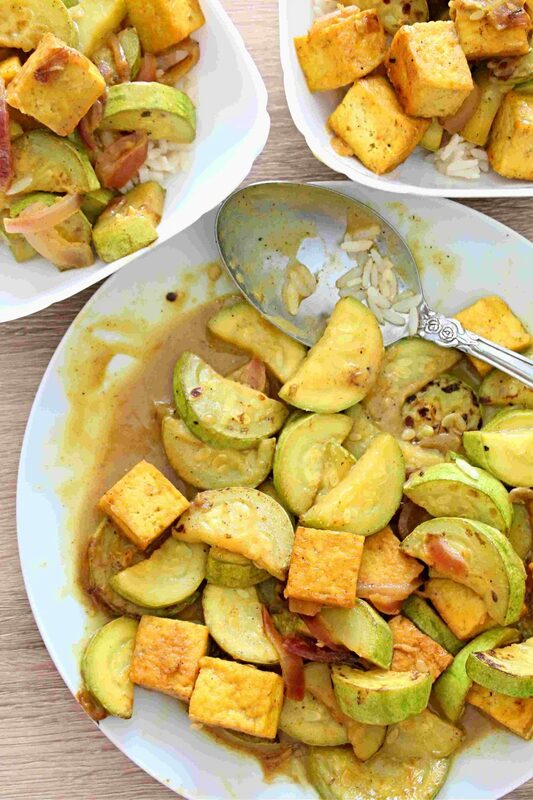 So if you’re planning on losing weight give this easy tofu curry a try rather than cutting foods out (like many diets do these days)!